Aussies increasingly want to get their news from niche sources (think podcasts and docos), 20 per cent of us no longer watch any TV whatsoever, and we’re increasingly distrusting of the ‘old school’ media players. That’s just a few of the challenging findings of the bi-annual Mind And Mood Report by Sydney-based research firm Ipsos. Admittedly, the Report attempts to represent a snapshot of the nation rather than a bespoke, indepth look at our media consumption; although it does include a strong focus on what ‘middle Australia’ thinks of the media they’re presently being served. 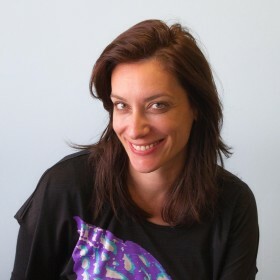 Ipsos’ Laura Demasi (pictured above) is the research director of the Report and calls it “Australia’s longest running social trends study” with the end results digested by a number of corporations and government departments. Demasi said the biggest surprise from this year’s Report were the expectations of different generations; be they the Ys, Xs or the Boomers. “This whole idea of ‘life stage’, the traditional idea of what’s expected of you at a certain stage of life, that’s gone out the window,” she argued of the study’s findings. “The expectations of how we live; each generation is redrawing those and resetting those. What past generations thought was a successful life – a steady job, a mortgage, a house, kids… but you talk to people in their mid-20s and there’s a lot of indifference towards things like home ownership; there’s this idea that they just don’t care. Demasi said the Report showed we’re seeing a transfer of power from ‘them’ to ‘we’ and ‘me’; and that, she believed, was bad news for traditional institutions such as mainstream media, corporations and government. “We’re seeing this seismic shift in where power resides. The days of those old pillars guiding you in life are over. And that’s led by the digital revolution which has empowered the indvidual like we’ve never seen in history. Those old institutions are going to have to fight hard to remain relevant in peoples’ lives,” Demasi said. And, ultimately, that idea will carry over to how we watch and consume our media. These were the Report’s main take-out points relating to media, according to Demasi. We’re witnessing the rise of niche media. “It’s now quite possible to go through life in your own reality constructed only by social media,” Demasi said. We’re turning the TV off. “Our research has found that on any given day one in five Australians aren’t watching TV. Streaming, there’s lots and lots of streaming. And we’re getting our news from increasingly niche sources – podcasts, documentaries; these are discussed as the ‘new source of truth’.